Daikin are very innovative and bring out new market leading products eg the High Temperature heat pumps and the new Hybrid heat pump range. 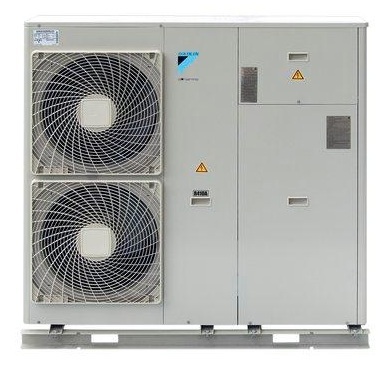 The Daikin monoblock heat pumps have a self-contained outdoor unit which contains all of the compents to generate hot water and output this to your property. 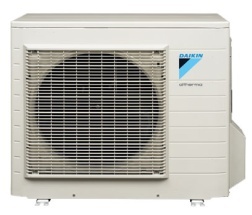 The Daikin split systems are typically used when the distance between the outdoor unit and the cylinder/property is large. Pipes carrying refrigeration gas are laid between the outdoor unit and an internal wall mounted unit called a "hydrobox"
A hot water cylinder is also required. 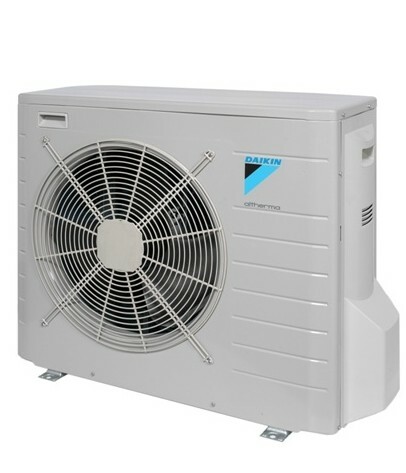 The Daikin High Temperature heat pump range is unique in that it outputs hot water at a much higher temperature than standard heat pumps. 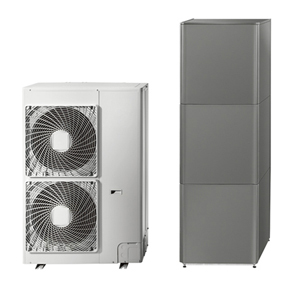 The high temperature heat pump is therefore ideal for properties that do not want to replace or change existing radiators. It comprises of an outdoor unit, an indoor hydrobox and a hot water cylinder. 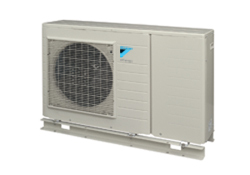 The Daikin hybrid system is a new product for 2014. It comprises a gas combi-boiler and an outdoor heat pump. No hot water cylinder is required. The system intelligently selects whether to use the gas boiler or the heat pump according to the weather and the demand. Daikin have numerous case studies that showcase Daikin Altherma in different environments and settings.